Worn pallets are usually treated like garbage and waste, but it turns out that really a low cost can make them quite tasteful, and above all, useful furniture. Besides furniture hand-made ​​from pallets are recently very fashionable. You do not have to have great capacity for carpentry. Just a good idea and a little patience! In today’s roundup I present to you 20 DIY Wood Pallet Reuse Project Ideas that create something amazing with little effort. The effects are really impressive you have to try for yourself! 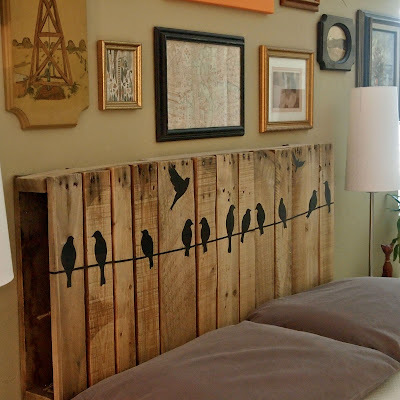 Repurpose a pallet into a headboard – plus a tip on how to add some (temporary) decorative details to it!